Download 2 Free Kids Bible Lessons on Responsibility and Kindness! 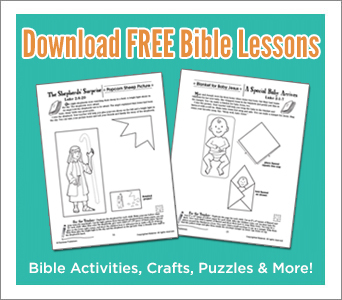 These flexible, all-inclusive, reproducible lesson include age-appropriate Bible stories, over 16 fun hands-on activities, and step-by-step instruction and tips for teachers! Discussion questions, step-by-step instructions, and dozens of tips for teachers. Puzzles, Crafts, Skit Ideas, Games, Snack Ideas, and More! This free eChart includes just 2 lessons from Rainbow’s Instant Bible Lessons: Bible Truths (Ages: 5-10)—Save 25% on this incredible reproducible book. Download now!